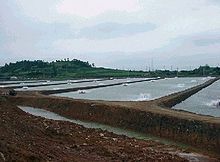 We have been discussing the basics of aquaculture fish farming on our site. 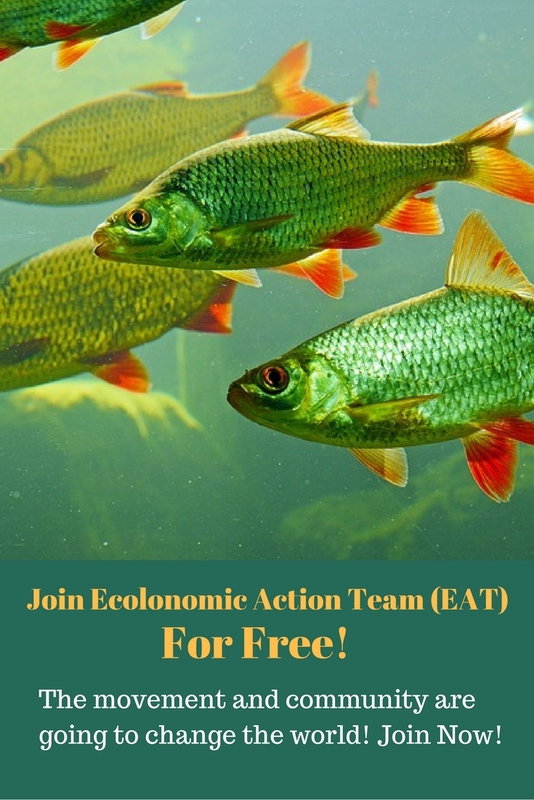 In our previous blog, titled Simple Aquaculture Methods – A Guide to Fish Farming we started giving you tips on how to start your own fish farm which could be a profitable way to generate a steady income all year round, right from your home or from any commercial sized pond that you own. In this blog, we’ll discuss some of the factors involving water quality for your fish farm, and also the various types of fish suitable for your region, as a continuation of our fish farming tips and advice. Fish depend on water to perform all of their bodily functions such as feeding, breathing, excreting waste, growing and reproducing. Therefore, understanding the physical and chemical quality of water is critical for fish farmers, as this affects the fish culture. 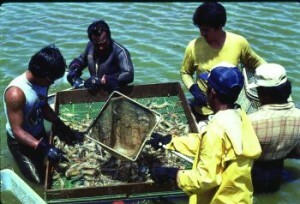 Water quality determines the success or failure of aquaculture to a great extent. To understand factors involving the quality of your pond water, you need to consider the following. Water can hold a large amount of heat and can remain unchanged through weather and temperature fluctuations. With a larger body of water, the temperature fluctuation is even slower. Most aquatic animals are cold blooded and retain the temperature of their environment. Water acts as a protection against the fluctuations in temperatures, because aquatic animals cannot tolerate the sudden changes in temperature. Water has some unique physical properties. It becomes denser as it gets cooler, until it reaches 39 degrees Fahrenheit. When the temperature drops below 39, the water starts to get lighter until the temperature reaches 32, where water freezes and turns solid. As water turns to ice, it increases in volume by 11%. Ice floats on water, so the top layer of your pond will freeze first. The increase in volume of ice will prevent your pond from freezing entirely solid. Water is known to dissolve more substances in it than any other liquid known to man. Natural water is known to have more than 50% of all known chemical elements dissolved in its natural state, and it’s possible to find more chemicals dissolved in lakes, rivers or ocean waters. Most land animals use their kidneys to eliminate nitrogen-based waste products. To the contrary, fish use their gills for this purpose. They rely heavily on gills to excrete ammonia. Gills of a fish are permeable to salt and water. Ocean water has more salt in it in higher concentration than the body fluids of the fish, and so, water tends to drain out, while salt diffuses inwards, and so, marine fish drink a large amount of water and excrete small amounts of urine high in salt concentration. 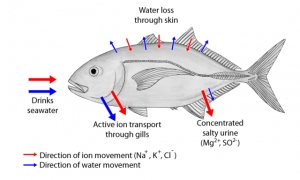 In fresh water fish tend to show reverse water regulations than that of the marine fish. 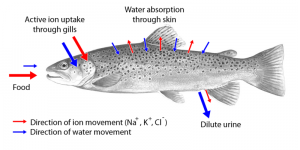 Fresh water fish tend to lose salt constantly through their gills while a large amount of water enters through their skin and gills into their body. This is because the salt concentration in fresh water fish is about 0.5% higher than the water that they live in. Fresh water fish excrete a large amount of water through the kidney because they are constantly trying to prevent diffusion of water into their body. As a result, the salt concentration in their urine is very low. In commercial fish farming, water is always a limiting factor. 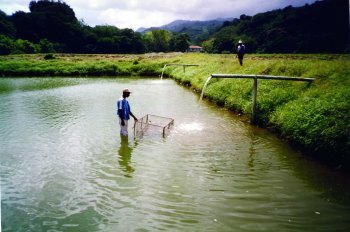 One needs to be careful when selecting the source of water for their aquaculture because many of the chemicals and negative environmental factors are associated with the source of water that you select. A site must be selected based on both the quality and quantity of water available, and so, it is important to test for the pH levels, and presence of germs, parasites, and other aquatic organisms in the final selected site. Most common sources of water are spring, wells, lakes, rivers, ground water or municipal supply water. Spring water and well water are considered to be high quality for your aquaculture farming. Beginner fish farmers often underestimate the amount of water needed for their farms. 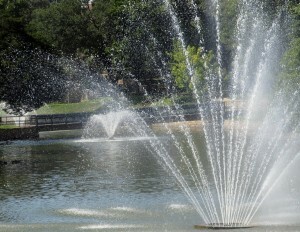 As a general rule, a minimum of 13 gallons per minute of water is needed for each surface acre of fish pond. So, a 100 acre of fish pond will require wells with the capacity of 1,300 gallons of pouring water per minute. Such large volumes of water are required to replace pond water to offset seepage and evaporation. If you need to fill up several ponds, you may need a greater amount of water, especially in the spawning season. It is advisable to have 500 gallons of water to flow through per acre of surface area per minute, for a raceway culture. Even a water re-circulating system that recycles water into the system needs a large amount of water. For example, if a 100,000 gallon capacity water re-circulating operation exchanges 10 percent of the water daily, it will require 10,000 gallons of water per day. Keeping the water temperature optimal for your fish is one of the most important factors of fish farming that affects the welfare of your fish. Fish are cold-blooded creatures, and assume the temperature of the environment they are in. Water temperature affects every activity and behavior of fish, such as feeding, growth, reproduction and movement. The optimal growth temperature may vary depending on the species of fish. Fish can be categorized in three different types, such as warmwater, coolwater and coldwater fish. General temperature ranges for coldwater, coolwater, and warmwater species is given below. Visit Temperature Classifications of Fish to get more details on different species of fish and the temperature range. Suspended solids are large particles that come from clay particles suspended in water; uneaten fish feed, plankton, and fish waste, which will settle out of standing water throughout time. The following are suspended particles in water. Water’s chemical factors depend on the amount of chemicals dissolved in water, the amount of photosynthesis, pH levels, oxygen, and other dissolved gases present in water. We’ll discuss the physical and chemical factors of aquaculture in more detail, in our next blog, so please keep reading our articles. Also put down any questions or comments in the comment box below to let us know how you’re finding our blogs so far.